To prevent another such impact, Amy Mainzer and colleagues use a simple yet ingenious way to spot these tiny near-Earth objects (NEOs) as they hurtle toward the planet. She is the principal investigator of NASA's asteroid hunting mission at the Jet Propulsion Laboratory in Pasadena, California, and will outline the work of NASA's Planetary Defense Coordination Office this week at the American Physical Society April Meeting in Denver—including her team's NEO recognition method and how it will aid the efforts to prevent future Earth impacts. "If we find an object only a few days from impact, it greatly limits our choices, so in our search efforts we've focused on finding NEOs when they are further away from Earth, providing the maximum amount of time and opening up a wider range of mitigation possibilities," Mainzer said. But it's a difficult task—like spotting a lump of coal in the night's sky, Mainzer explained. "NEOs are intrinsically faint because they are mostly really small and far away from us in space," she said. "Add to this the fact that some of them are as dark as printer toner, and trying to spot them against the black of space is very hard." Instead of using visible light to spot incoming objects, Mainzer's team at JPL/Caltech has leveraged a characteristic signature of NEOs—their heat. Asteroids and comets are warmed by the sun and so glow brightly at thermal wavelengths (infrared), making them easier to spot with the Near-Earth Object Wide-field Infrared Survey Explorer (NEOWISE) telescope. 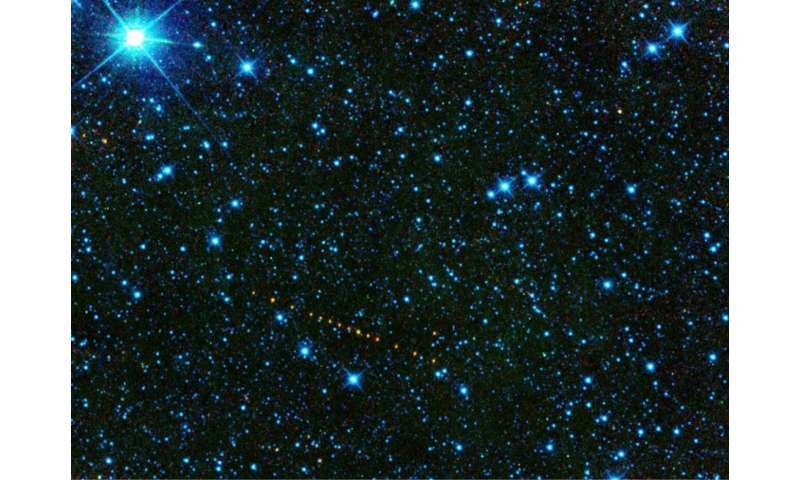 "With the NEOWISE mission we can spot objects regardless of their surface color, and use it to measure their sizes and other surface properties," Mainzer said. For instance, one defensive strategy is to physically "nudge" an NEO away from an Earth impact trajectory. But to calculate the energy required for that nudge, details of NEO mass, and therefore size and composition, are necessary. "These objects are intrinsically interesting because some are thought to be as old as the original material that made up the solar system," Mainzer said. "One of the things that we have been finding is that NEOs are pretty diverse in composition." 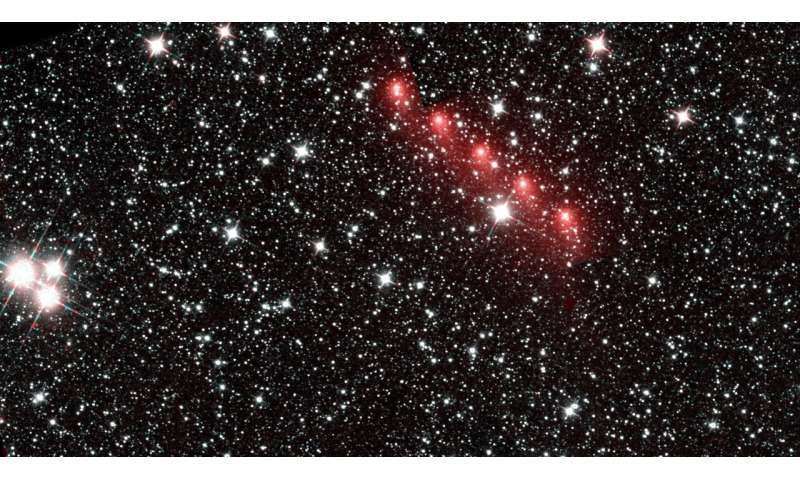 Mainzer is now keen to leverage advances in camera technology to aid in the search for NEOs. 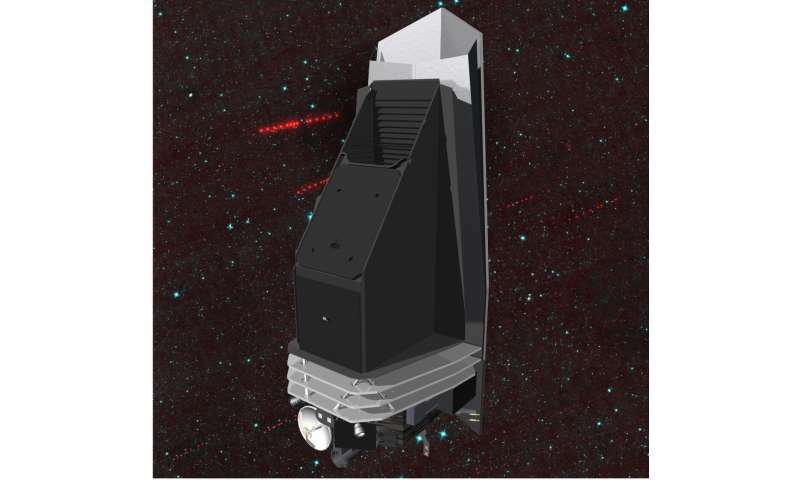 "We are proposing to NASA a new telescope, the Near-Earth Object Camera (NEOCam), to do a much more comprehensive job of mapping asteroid locations and measuring their sizes," Mainzer said. NASA is not the only space agency trying to understand NEOs. For instance, the Japan Aerospace Exploration Agency's (JAXA's) Hayabusa 2's mission plans to collect samples from an asteroid. And in her presentation Mainzer will explain how NASA works with the global space community in an international effort to defend the planet from NEO impact. @ mqr, we have been wrecking earth for decades while offering band-aide solutions. There seems little to be done about it. At least I don't see anything being done about it. Quite the opposite actually. However, we might be able to deflect an asteroid, comet, whatever. It is estimated that one of these of about 2 km in diameter or more (depending on relative impact speed and angle of impact) would be big enough to take us out. Perhaps that is the solution to the earth's problem. Take out the pest(s) which are causing so much trouble, so the rest of the critters can recover. In any event, we better hope it is a NEO. A long period comet unknown to us would likely be too big of a surprise to give us time to do anything, except to bend over and kiss ourselves goodbye! However, we might be able to deflect an asteroid, comet, whatever. The deciding factor is that we have permission to defend against asteroids. Nobody makes any money from letting them come here, unlike the wealth generated from carbonizing the atmosphere. And as with nuclear war, everybody's assets are at risk from asteroids. So there's no Big Chicxulub lobby. LOL. PhD in what, piling high and deep? 2Km sphere of water masses what, at interplanetary velocity has what momentum? How much momentum can humans lift far enough to make a difference? Heck, we can just barely get around the Moon. @ddaye I got a quite a chuckle out of your notion that there is not a "Big Chicxulub lobby." Truth is, how can you be sure? Might be a stealth lobby of some kind. Think religion! To be sure, not "everybody's assets are at risk from asteroids". It clearly depends on the size. So long as the asteroid is small enough (like that bolide at Tunguska), space rocks could be diverted to weaponry. Think of all the little rocks out there that small thrusters could be planted on to change their trajectory enough to decimate just about anything. A city, a country. So long as collateral damage is minimal, it works, and no radiation. Even neutron bombs are taken out of the equation. Perfecto! Whatever you're smoking. STOP. It ain't worth the brain damage. I fully support this line of research and action. To the extent that the technology could be easily weaponized, I suspect the international community, as well as the limited number of superpowers capable of doing it, as well as the prospect for a "balance of power" extinction-level-event meteors in a "mutual assured destruction" would likely carry on the current nuclear tradition, albiet raising the stakes dramatically. @JaxPavan, raising such weaponized rocks to extinction-level would not help anyone, and we already have those things with nukes. Using rocks for minimal stealth attacks is the only practical app, and that mainly as a threat. It is not outside the range of things countries could do to destroy another. Look at Putin telling the world he has developed a nuclear powered torpedo with a huge warhead seeded with cobalt-60. This thing is supposed to have a yield of 100-200 megatons and is designed to create a massive tsunami spreading devastation and intense radioactive contamination along much of the U.S. east coast. Not a very friendly notion. He apparently is not overly concerned about MAD, so maybe we should give him extra reasons to be. Weaponized space rocks are something only the U.S. and maybe the E.S.A. could actually come up with, so any stealth approach is unlikely. But punching Putin in his abs with the notion of a killer space rock heading to Moscow just feels right! ELE is ultimate MAD. I could see any outclasses superpower going there for security, from Russia to China to Japan to the EU. Nuclear MAD was always a bit of a myth, like nuclear winter was a myth. Nuclear MAD is really about destroying civil society, military bases, and much population, but WWIII would go on, and we would see a real draft again. . . The Earth is a rock. Rocks don't need defending, sentient beings do. @JaxPavan, that depends on the level of nuclear exchange. Clearly ELE from space is the ultimate, but there is every reason to believe that a significant nuclear exchange could wipe out humans. It is much more than just nuclear winter. And I for one am happy that the generals and leaders did not believe MAD was/is a myth. To be certain, a myth is the last thing that it is.